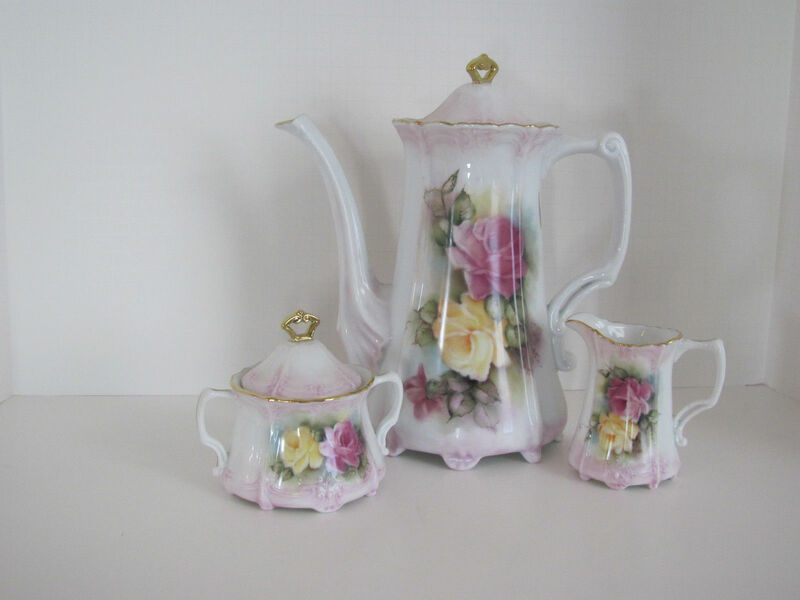 Home / TEA POTS, TEA SETS, CHOCOLATE & COFFEE SETS / Baronese Coffee Set – 3 pc. 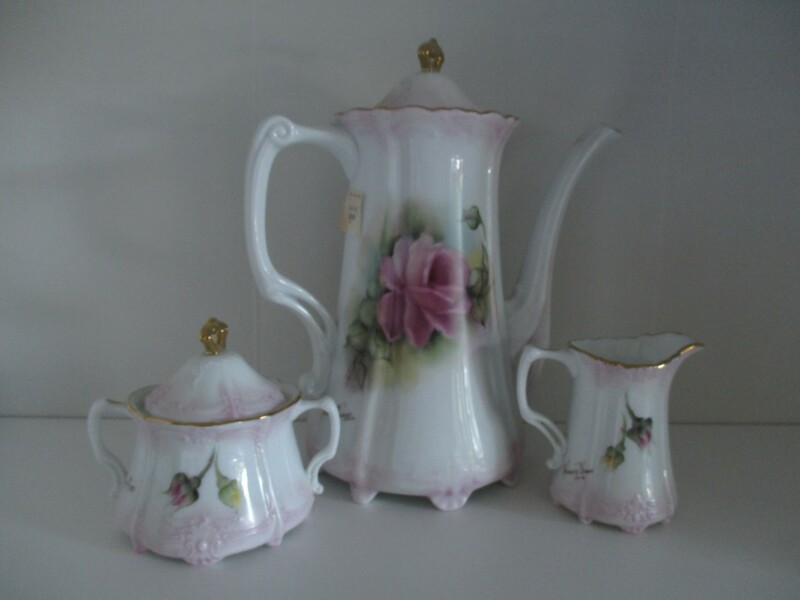 Baroness shape coffee set, 52 oz.-10 1/4″, creamer & sugar bowl 4 1/2″. 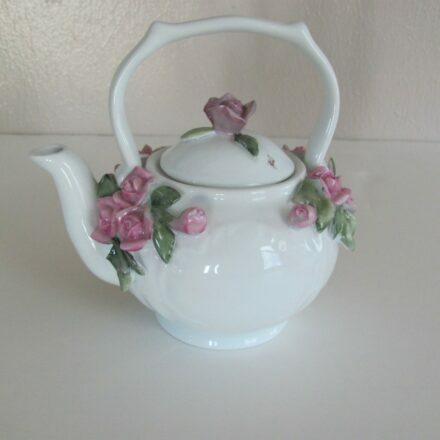 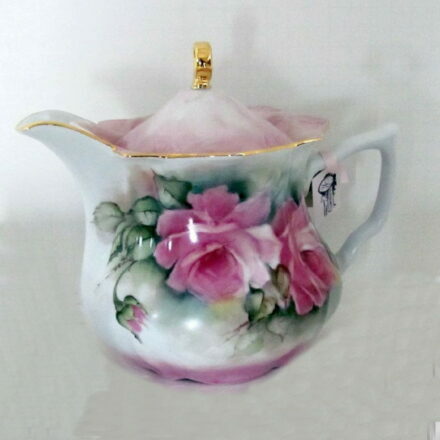 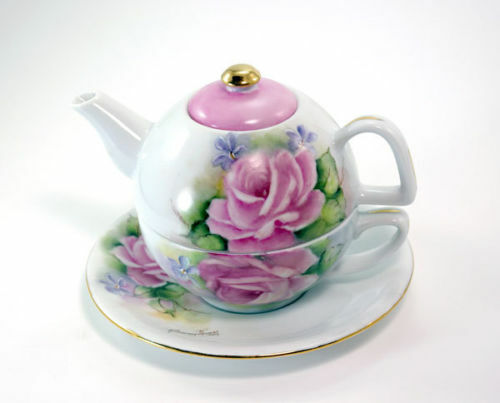 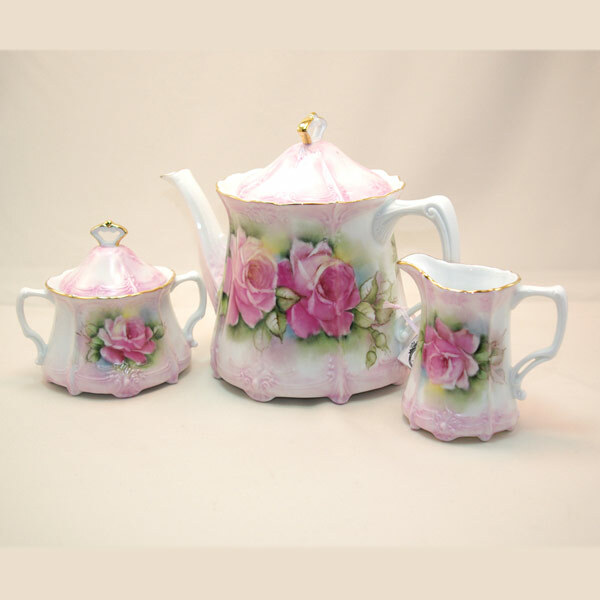 Your friends will be delighted when you serve them coffee in this set, very unique, yellow and rose pink tea roses beautifully decorated on front & back of set.